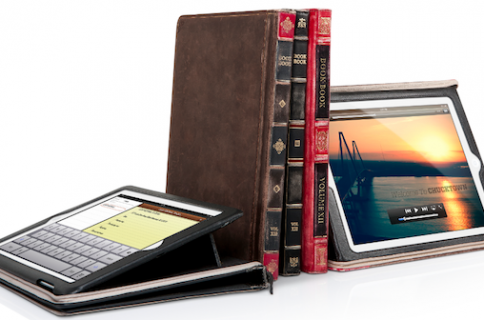 These days, iPad cases are a dime a dozen. You can get them in all sorts of colors, styles, and materials; if you’ve seen one, you’ve seen them all. 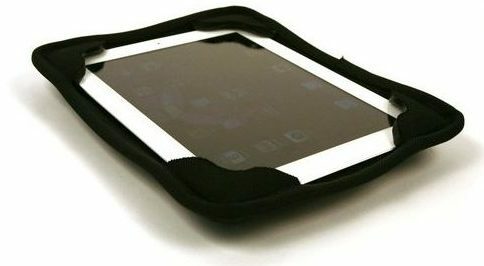 But not so fast; a small company out of Brooklyn, New York is out to change this perception of the average ho-hum iPad case. The order process was fairly simple and easy to follow. You can choose to provide your own source material (definitely preferred) or if you’re creatively challenged, you can opt for artwork provided by Caseable. Admittedly, I wasn’t very creative in my selection, and I opted for a picture of the Golden Gate Bridge that I snapped a couple of years ago. 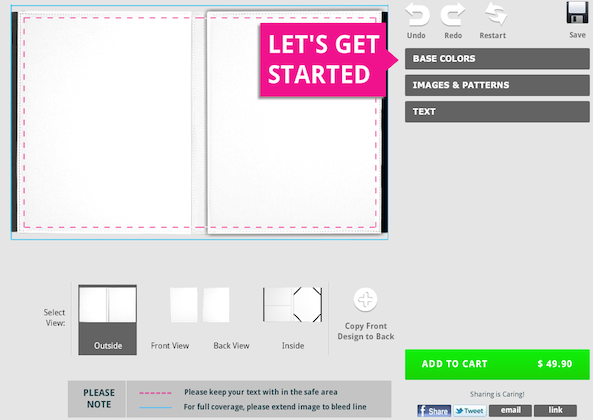 Using Caseable’s simple to use tools, I had a finished product ready to submit in about 10 minutes. After submitting, I received my custom case in about a week. One of the coolest parts about receiving the case was definitely the box. 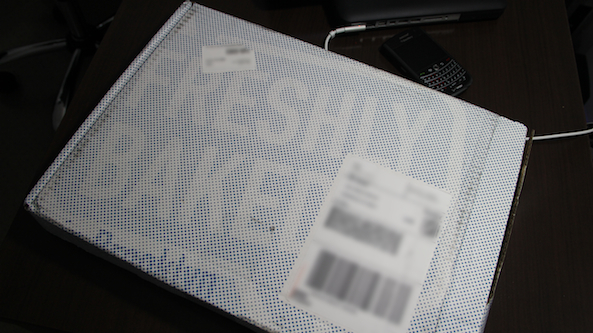 It’s disguised to look like a box of pastry with the words “FRESHLY BAKED in Brooklyn” on the outside of the box. Definitely cool. The product itself was pretty awesome as well. The quality of the photo was better than expected, and it’s printed on a fabric material covering the outside of the case. If there’s one negative thing to say about the iPad Book Jacket, it has got to be the smell. It smells like you just walked into the tire section at Pep Boys due to the rubber edges covering the outer side of the case. I’m not sure if the smell will eventually wear off, but if you’re highly sensitive to rubber smells, keep this in mind. Secondly, if you’re a heavy iPad typer, this case isn’t going to give you any angles to type like a Smart Cover would, but that’s purely by design. Overall, I’m happy with my custom iPad case. 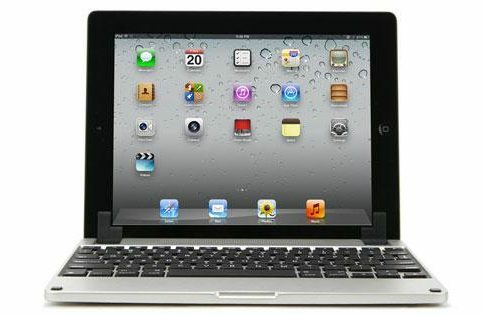 It fits the iPad 2 particularly well, and the rubbery inside provide a great tacky surface for gripping. 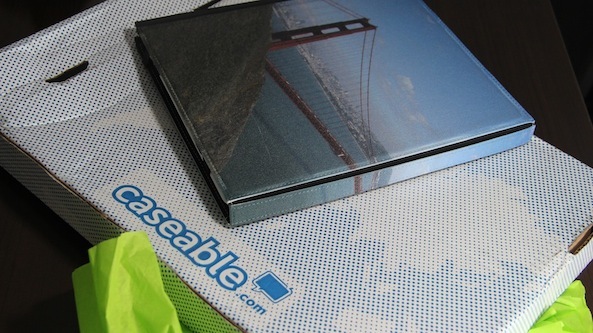 Caseable provided us with a free sample to try out, but the asking price is a modest $49.90. That’s definitely reasonable for a custom iPad case of this nature, and I recommend it for anyone who’s looking to get away from the norm. 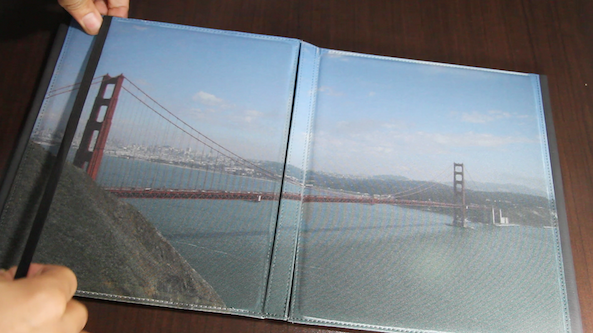 Do you think you’d be interested in a custom iPad Book Jacket? If so, head over to www.caseable.com and check out the simple custom creation process for yourself, and let us know what you think below. Note: Caseable contacted us to let us know that the rubber edges are actually for the case to act as a stand (duh Jeff!). The rubber provides traction, just like tires do. While that’s still not going to help typing, it does make it perfect to use for movie watching.